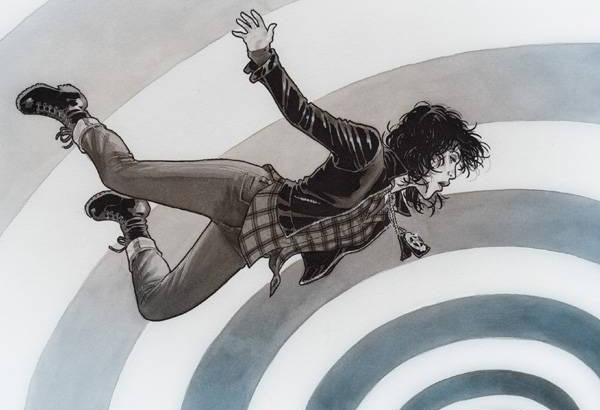 BLACK MAGICK #2 Review | Warped Factor - Words in the Key of Geek. 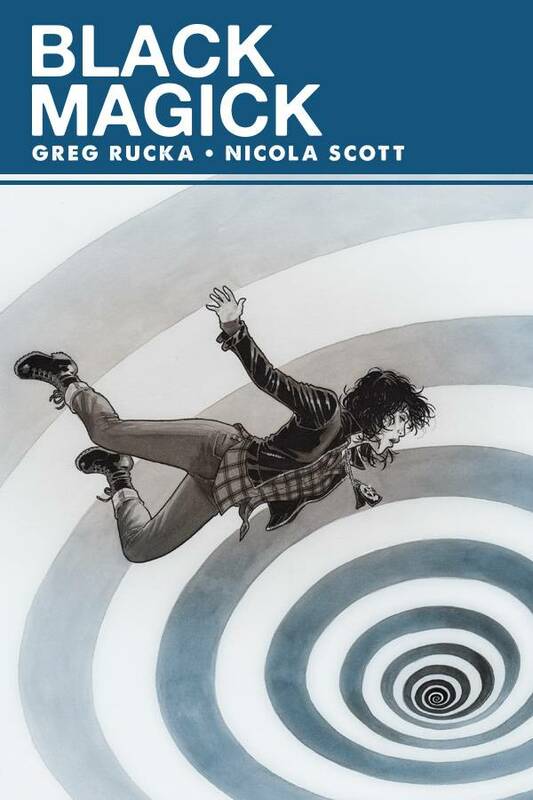 Issue #2 of Black Magick from Image Comics sees us rejoin Detective Rowan Black in the aftermath of the Buddy Burger hostage situation. She’s at home, feeding her cat. No surprise it’s a black cat. She reaches the station as the Captain is briefing the squad. They have no id on her perp and are looking at a number of possibilities, including blue suicide - that’s death by pulling a gun, or other deadly object, on a cop, by the way. The Captain calls Black into his office to tell her she needs to see IAB - Internal Affairs Bureau - about the case. After all she was the officer on the scene when a civilian died, there are routines, yada, yada, yada. This is where we find out that her partner, Morgan Chaffey - the eye candy - is married. Boo! In the IAB office, Black tells her story, saying she can still smell him burning. When asked if she has ever seen the guy before, she denies it and says “Cross my heart and hope to die”. The IAB agent, Inspector Prestes points out that this is a pagan oath (well I learned something new reading that). Perhaps he’s primed to see such paganism because he’s been researching the symbol on the perp's lighter, a hammer of some kind. Cut to Alex - she of the impressive body that was barely covered last issue - speaking to Father Gutierres, or rather baiting him with examples of the Church and other co-opting, and outright stealing, of symbolism from other religions. Calvin and Hobbes even get a mention - LOVE Calvin and Hobbes and if you’ve never read them, where have you been? Hiding under a rock? Anyway, back to this comic, as they discuss the Buddy Burger incident the quiet conversation hints at a history for Alex and Rowan that we are left to guess at for now. The intrigue goes on. Chaffey calls Rowan away to view another body pulled from the river, the natural bloating of decomposition brought him to the surface and thereby the wharf. A wallet check shows that this is Bruce Dunridge who, to quote Chaffey, has a wrap sheet that “reads like a felon’s greatest hits.” There is evidence of postmortem damage, the man is missing a hand, “His sinister hand,” says Rowan. “A murderer’s sinister hand.” That’s the left hand to you and me. Clearly there’s a ritual significance here but it seems only Rowan sees it. Then one last significance is revealed, the burned perp, he’s been id’ed. The story works so well and on a number of levels. There are hints of hidden facets to Alex and Rowan that beg the reader to read on and find out. And the artwork in this issue, the body of Dunridge particularly, is well realised. But there isn’t a thing Nicola Scott doesn’t seem to be able to draw, from people to machines, animals to architecture (well okay the tech drawing squad might disagree with that last, but it works well enough in context). Each character is drawn with consistency and precision throughout. Well except one panel, an extreme close up of Alex. Her eyes are incredible, but the mouth is slightly too small - in other words I had to be really, really picky to find that and it doesn’t detract at all from the read. I’m just being picky because I can be. Definite four out of five from me.